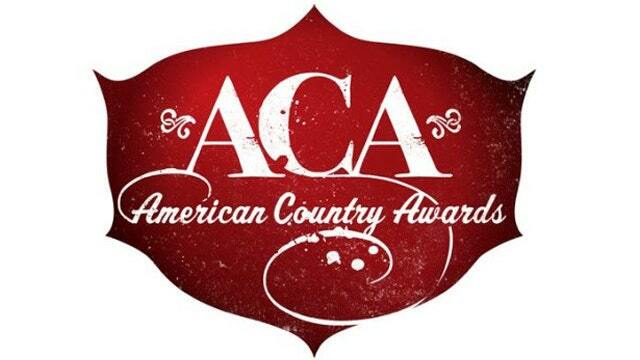 The nominations for this year's American Country Awards have just been released. The show will be hosted by Trace Adkins and Danica Patrick and broadcast live from Mandalay Bay in Las Vegas on 10th December from 8pm till 10pm Eastern time. Taylor Swift leads with eight nominations and is followed by Florida Georgia Line and Blake Shelton with seven each. Read on for a full list of nominations and my predictions. Could be close between Luke and Florida Georgia Line however Luke's previous ACA success and his all round popularity should win this for him in my opinion. Last year's winner will retain the award in my opinion. His popularity is very high and his new album has been very successful for him. I think it's great to see Sheryl Crow's name in this category but I unfortunately think she isn't going to win. It seems as though Kelly is going to continue to be nominated for Female Artist categories but I think Carrie's popularity will win her this. Carrie has also won every Female Artist award from the ACAs. A brilliant year for the quartet. Although Lady Antebellum have won the award for the past three years I don't think they will challenge for this and I don't think Rascal Flatts and Zac Brown Band are popular enough. It could be interesting between Little Big Town and The Band Perry though. Hunter has an increasing level of popularity and his latest album has had a strong level of success. He has also had successful touring as well as being part of the CMT tour. Kacey Musgraves is the only one who I think could challenge the duo in this category. Florida Georgia Line have had a huge year and are very popular as well as having a lot of chart success. This could close between Florida Georgia Line and Jason Aldean in my opinion. I would love to see The Band Perry win it but I think Florida Georgia Line will win because of their huge popularity and chart and touring success. This track has been hugely successful and catapulted the duo to success. It has a very catchy melody and seems to be a big hit live. The track has also been very strong in the charts. Personally I would like to see Gary Allan or Jake Owen win the award however Blake's popularity and critical success will, in my opinion, win this. I would love to see Sheryl Crow or Faith Hill win this as I think both their singles are great but I think realistically it will be between Miranda, Taylor and Carrie, with Carrie's popularity and general song strength winning out. The title track from Little Big Town's first number one album that went to number one itself. Hard to pick between "Tornado" and "Downtown" in my opinion and Lady Antebellum could certainly challenge but "Tornado" is a great track with a great feel to it. An absolutely lovely track from a very strong artist. In my opinion deserves a lot of awards. The instrumentalisation is soft enough to allow the focus on the really sweet story behind the lyrics. It may be a case that Hunter Hayes popularity wins him the award but on the strength of the song I'm going to pick Lee. A hugely popular track from the duo. Personally I'd rather Kip Moore win as I really like the song however "Cruise" has a catchy, party feel to it that really sticks in your head and makes you want to sing along and is also a strong song. A very successful collaboration between three of country music's biggest stars. I am not a huge fan of the video which is why I think the single will win this award rather than video. Difficult category with a lot of big tours but George Strait's support from the industry and fans and the varied star openers promises a great tour. My other thought would be for Brad Paisley's tour. Whilst I am admittedly not a huge fan of Taylor, "Begin Again" is one of the more country sounding tracks off her new album and the video really fits in with it well. All these videos are strong in their own ways but I think "Begin Again" is the strongest. One of my favourite songs of Tim's, I love the idea behind the video when he invited fans to see a live stream of the creating of the video. I also love "Every Storm (Runs Out Of Rain)" and was impressed by "Take A Little Ride" so definitely found it hard to pick! Unfortunately Gary Allan tends not to win many awards and Jason's isn't as atmospheric so I think this is Tim's award. I found this really hard to predict. The only video in this I really don't like is "Mama's Broken Heart" and the nominations are split between Taylor, Carrie and Miranda and then Kellie and Faith in my opinion. I really want Faith to win this as I love the "American Heart" video but I think Taylor's popularity on what is a completely fan voted category will give her the push needed. A tough category to decide again. Whilst "Cruise" is a good song, I feel it is a better song than video and Kip Moore definitely deserves this one. Whilst Kacey won video at the CMAs last year I'm not sure that is enough in what is a very different category. This isn't my favourite video from Little Big Town however I feel it is certainly the best of the category. An atmospheric song that is helped by an atmospheric video. Such an amazingly well written track that sincerely deserves this award. A beautiful story that even though it hasn't been recorded by the hugely popular artists in the category, sincerely deserves the recognition. In my opinion the other contender is "Like Jesus Does" - again a lovely song and Eric Church's acoustic performance does it justice.